October is National Farm to School Month, a time to celebrate the connections happening all over the country between children and local food! Throughout October, follow the National Farm to School Network on Facebook, Twitter and Instagram to see how communities are celebrating; include the hashtags #farmtoschool and #F2SMonth in your social media messages; and, visit farmtoschool.org to read great stories about farm to school’s impacts and successes. 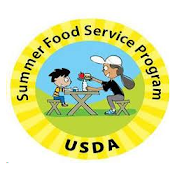 New to farm to school? Register to attend the Farm to School 101 webinar on Tuesday, October 13 from 12-12:30pm CT for a look at how the movement is working to connect millions of kids to healthy, local food. Whether you are a food service professional, farmer, teacher or food-loving family, there are plenty of ways to celebrate National Farm to School Month! 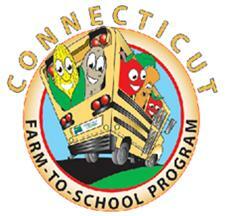 Visit farmtoschool.org to learn more. 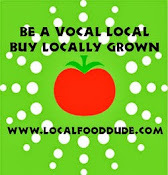 Local Food Dude® is devoted to increasing the consumption of nutritious foods in commercial food service by assisting clients with developing educational materials, trainings and menu/recipe development. Our team designs programs and services to help you optimize the performance of your business by identifying talents, increasing knowledge and developing skills. When used together, our assessment tools can provide a much clearer picture of both the individual and the job, including behaviors, motivators and personal skills. Need help planning dinner at home? Dinnertool.com is the way to go! Shaving O' the Beard for the kids! Share Our Strength's Taste of the Nation New Haven 2013 is in TWO WEEKS! It is time to rally for your Right to Know! Let's make CT GMO Free!